Hey coaches, now is the time to develop your coaching skills so that you are ready for a great spring/summer season. Coach development is one of the key focus areas for our league in the 2017 season. Make a commitment to improve your fastpitch knowledge to help yourself, your players, and the league. CAA is always looking for volunteers to coach. We know this is a learning process, and you don't need to be an expert to coach. We also host coaches clinics where we encourage all parents to attend. A new requirement this year for all coaches is the concussion awareness training. Minn State Law requires the training and it must be completed prior to the start of the softball season. Coaches must complete the on-line CDC Heads Up Online Course and provide a copy of the completion certificate to the league. We strongly encourage softball coaching training for all coaches and as an official Little League organization CAA has access to the Little League coach resource center. All new coaches need to enroll in the resource center to gain access to the valuable information. In addition, all coaches must attend the CAA Softball coaching clinic each spring. 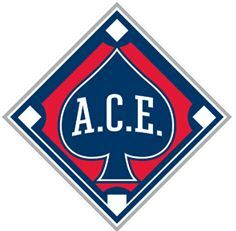 CAA strongly encourages all of our travel softball coaches to become ASA ACE Certified, it is an ASA requirement for one coach in the dugout to be ASA ACE certified. Mistakes are OK - mistakes are how we learn. Honoring the Game. At the start of the season, let your players know you want to coach a team that Honors the Game. Honoring the Game means that your team will have respect for the ROOTS of the game. Rules - We refuse to bend/break the rules to win. Opponents - We value and recognize that a worthy opponent brings out our best, and we take a "fierce and friendly" attitude into competition. Officials - We respect officials even when we disagree with them. Teammates - We never do anything to embarrass our team (on or off the field). Self - We live up to our standards of Honoring the Game, even when others don't. Practice doesn't make perfect, it makes permanent. Perfect practice makes perfect! Practice is the most important part of any team's season - even more important than games. You will practice anywhere from two to five times more often than you play games, so what you do with your practice time is crucial to your team's success. PLAN YOUR PRACTICES. One of the most important things you can do as a coach is to plan your practices. Planning is critical to successful teaching and coaching. If your practices are unorganized you will waste valuable practice time and your players will get frustrated and become inattentive. Use your time wisely. Try not to plan your practice in the car on the way to practice. Communicate (talk or email) with your assistant coaches prior to practice and discuss your practice plan. Use their input to create a good plan. Take the time beforehand to organize your thoughts an dput them on paper with goals and time-lines. Your team will greatly benefit from a well thought out, organized practice plan. How to throw overhand, How to catch a thrown ball, How to catch a fly ball, How to field a ground ball, Correct fundamentals of hitting, or even the sequence of running around the bases. You should spend most of your time doing and less of your time talking. It all comes down to the fact that kids want to "do" and adults want to "talk". Get your players active. It is a common feeling that, "My players aren't paying attention at practice". Have them do a lot of different drills, and don't spend a lot of time on each drill. Effective Use of Time. A common technique is to divide your practice into major sections of time. For example, if you have a 90 minute practice, then have three major 30 minute sets of activity. Divide your players up into groups. For example, if you are practicing a baserunning drill with 15 players, try not to have all 15 in one line because this creates a lot of standing around. Instead, break this line up into three lines of five players. Put all coaches to work running a station in a different area of the field: outfield, infield, sideline, etc. Remember, everyone does not have to be doing the same thing at the same time. 1. Warm-up/Stretch. Players jog as a group around the field then meet at the home plate to stretch. Players use this time to socialize and get ready for the practice. 2. Individual defensive fundamentals. Throwing, ground balls, fly balls. Each coach takes 3-5 players and works with them in a line. Coach hits a ground ball to them and the player throws the ball back to the coach. 4. Batting practice. Stations for soft toss, hitting off T, and live pitching. Do not simply put players in the infield and take batting practice one at a time (too much standing around). Instead, create several stations with different activities at each station. Keep everyone busy. 6. Group work. mini-game or team scrimmage, group dynamics in a team situation, MAKE IT FUN!! 4. Infield and baselines must be swept placing clay off grass. Sweep the dirt off the boarder grass area.